Caliber Landeron 51. 18K Rose Gold. 38mm wear like a 40mm. Manual Winding. Reminds me of a sketch by da Vinci. Thanks for sharing. 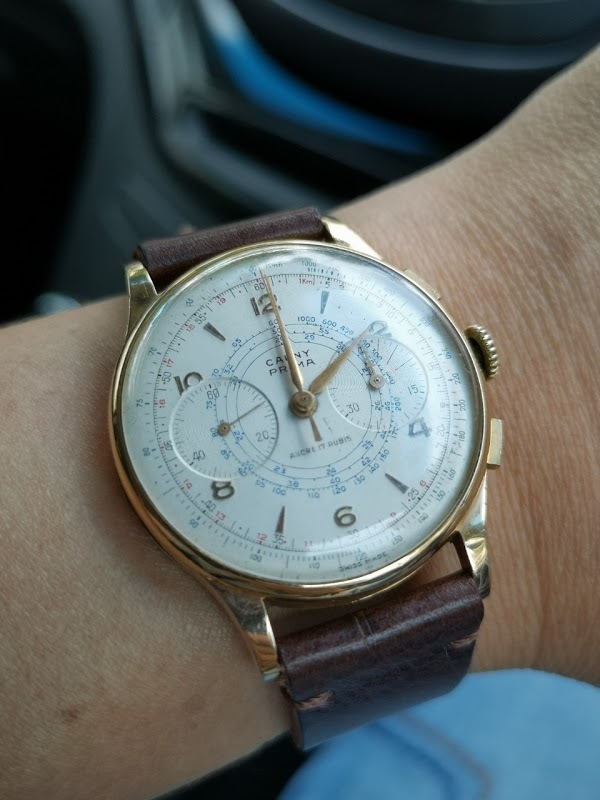 Is the 18kt rose gold caseback very thin and flimsy? 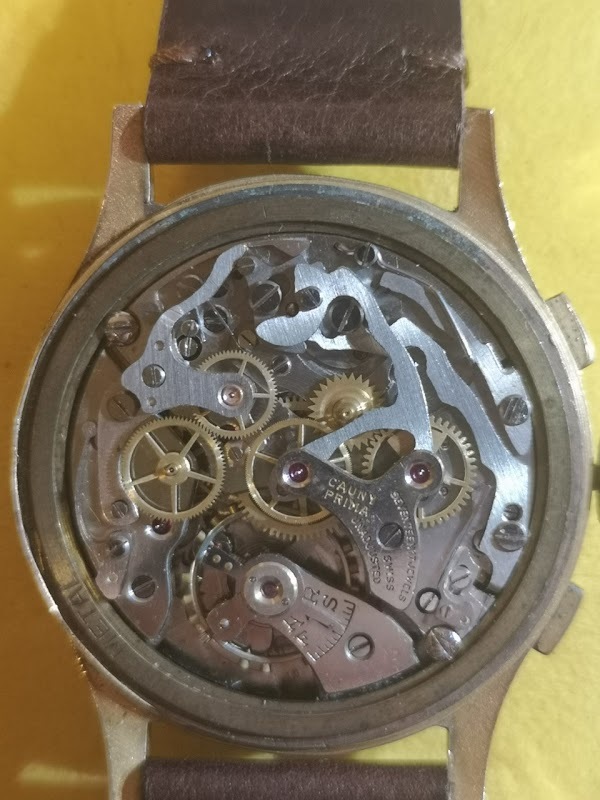 Same, I can still read manufacturer case number on the inside of the flimsy caseback, but couldn't really take a photo of it.